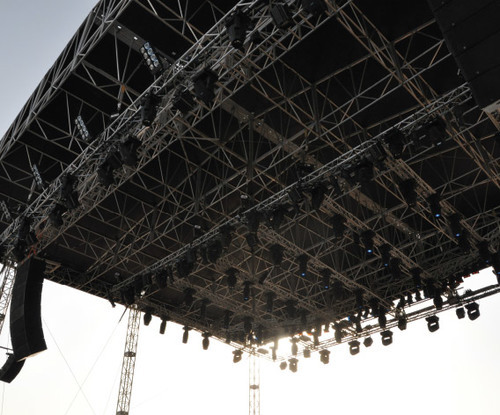 TriTec AV is equipped for optimum standard rigging of light and sound equipment. Our warehouses are packed with aluminum boxes and decorative round trusses for stage rigging and high technical flexibility. Trussing brands include: Total Fabrication, Eurotruss, Prolyte and CM Lodestar hoists. Good thing we aren’t afraid of heights!